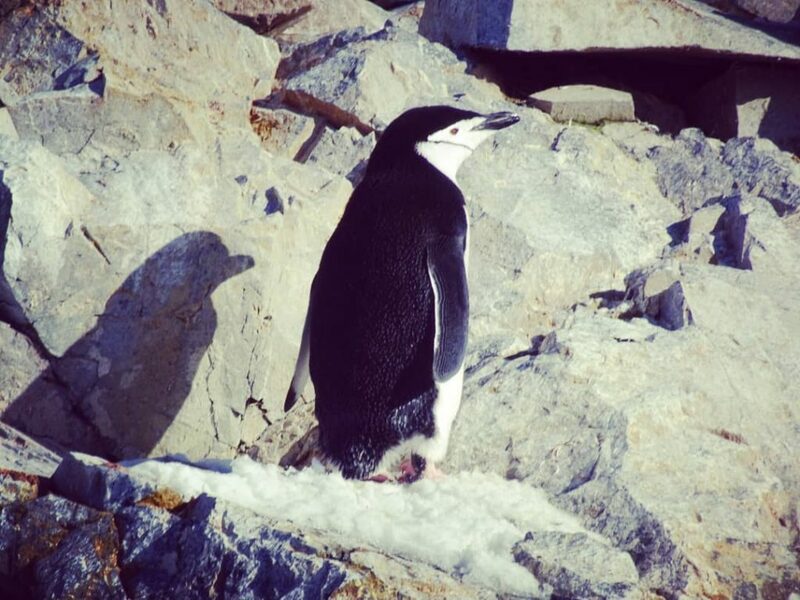 I didn’t just go to Antarctica for bragging rights or to see penguins (You already know I love animals). I was on a mission to discover a long-lost Nazi civilization in a part of the world to which few ever venture. The destination was New Swabia, or Neuschwabenland, named after the German territory of Schwabenland. In 1939, a Nazi German expedition reached New Swabia on a ship named Schwabenland. That’s how the territory got its name. Carrying just hand luggage and wearing eight layers of clothes, I embarked on a two-week excursion from the southernmost city in the world, Ushuaia, Argentina to Antarctica and back. 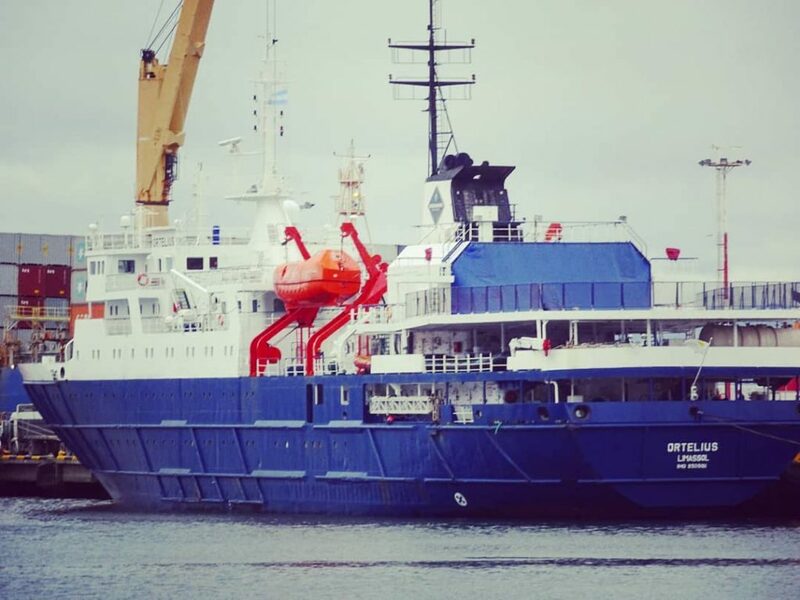 In Ushuaia, I boarded the MV Ortelius, a class 1A icebreaker built in the Soviet Union and used for Russian science until it was recently redesigned as an expedition cruiser for tourists. 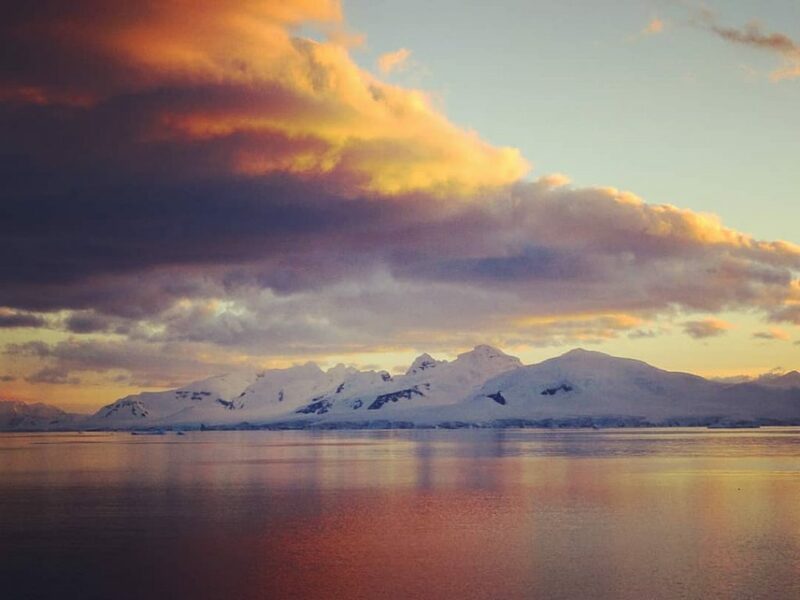 Aboard the MV Ortelius, I headed south across the Drake Passage along with about 120 other passengers — a nice mix of people, young and old, and from all over the world. They weren’t so prepared for the venture, though. Most of my fellow passengers got seasick and were lying in bed on the way to Antarctica. I, however, managed to avoid seasickness over the three-day journey to the Antarctic continent. My secret might have been that I spent my evenings at the MV Ortelius bar. The bartender made especially good margaritas and that kept me in an upbeat mood. Before reaching the continent, we already began spotting icebergs. The floating masses of ice appeared near the South Shetland Islands, a group of islands just north of Antarctica proper. During that stretch of the journey, the weather was less than ideal so we didn’t see a whole lot more. By day 4, we finally hit the Antarctic continent. And once officially in Antarctica, we got into a bit of a routine. After waking up early and eating a hearty breakfast, we would jump on a zodiac (inflatable boat) and go find some whales and penguins. Or we would run around the ice of the Antarctic peninsula approaching penguins, particularly Gentoos and Chinstraps. The Gentoos are just so cute (Remember, I love animals). My bond with the Gentoos was even deeper than my connection with the Moai of Easter Island. 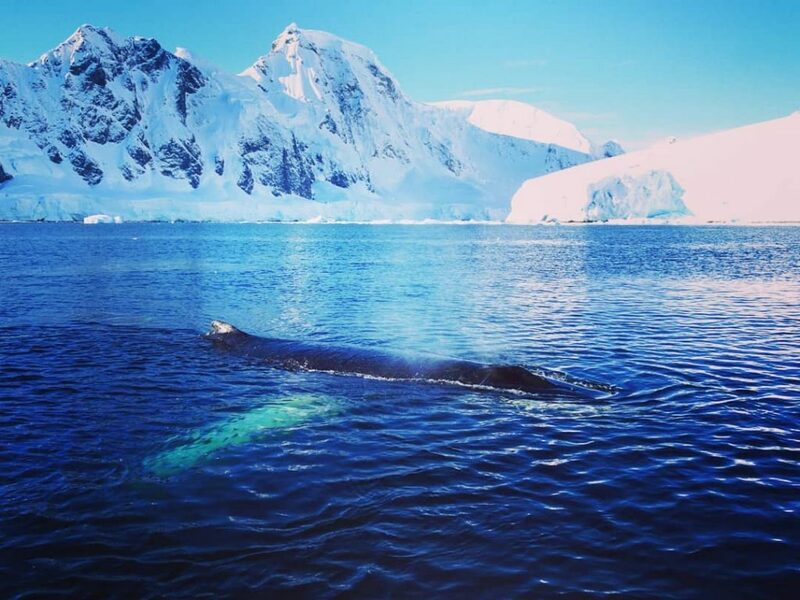 Additionally, cruising deep cut fjords is another luxury that comes with life on the Antarctic continent. 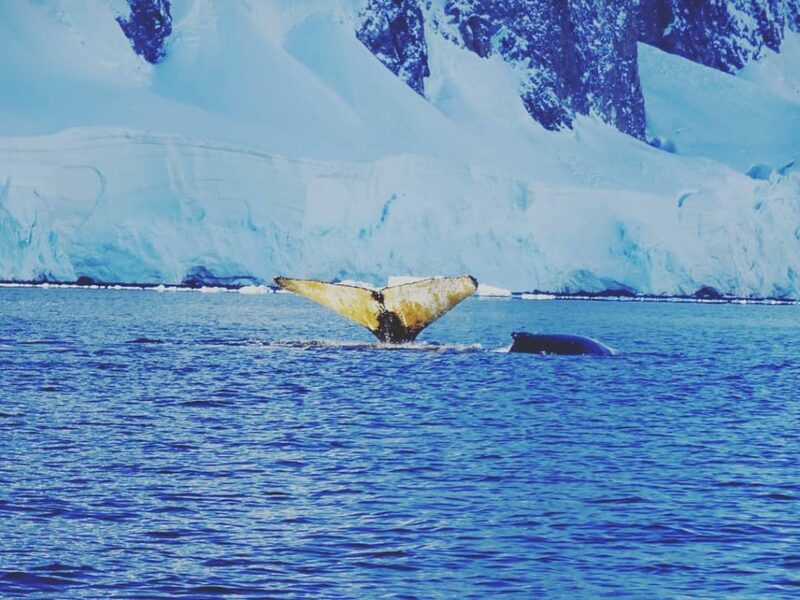 At a spot called Whalers Bay, we found lots of penguins jumping in the water, as well as seals and a bunch of sleeping humpback whales. I spotted one seal killing a penguin. This wouldn’t be the last carnivorous behavior I would catch on my Antarctic journey. In Neko Harbour, an inlet of the Antarctic Peninsula, I let my inhibitions go. I took the plunge… the polar plunge. Joined by about 25 of my fellow voyagers from the MV Ortelius, I jumped in approximately 1 degree Celsius water while wearing just boxer shorts. I then swam for about 20 seconds before realizing how cold I was. 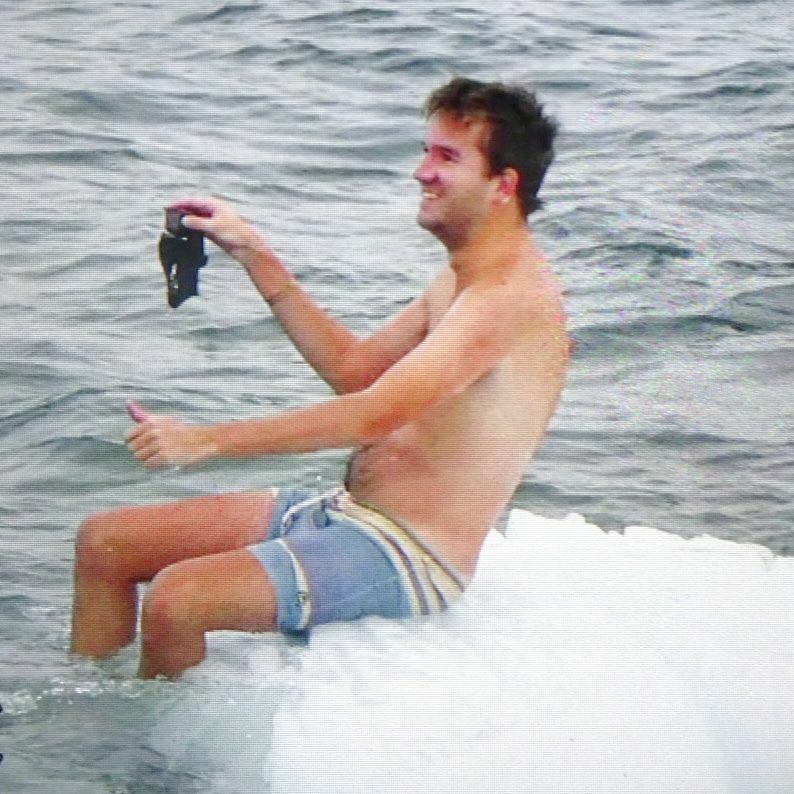 At one point during the plunge, I was out of the water sitting on an iceberg. That was a bad idea. The iceberg was sharp and it left me with a big gash. In addition to exiting the plunge with blood gushing out of me, I stumbled away with frozen toes. They remained frozen for about two hours. But the experience was epic, as you can see in my photos and video. 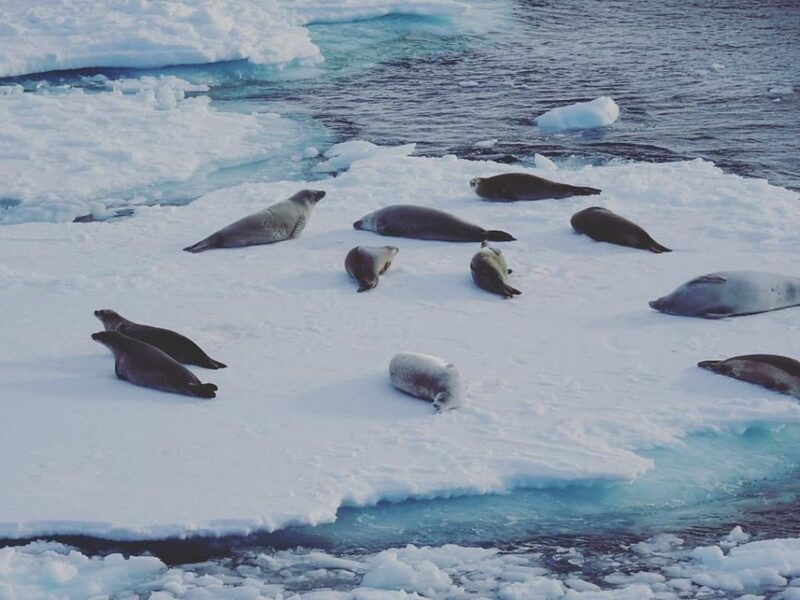 Farther south around Crystal Sound (another body of water), we came upon two or three hundred seals lying in the sun on flat sheets of ice. We then saw an iceberg where seals were panicking. Other seals were desperately trying to climb on the iceberg while orca whales were giving chase. The orcas were trying to eat the seals. Meanwhile, some seal carcasses were floating in the water. Uh oh. Deep into the voyage finally came the moment we were waiting for — no, not the Nazis. Patience please. 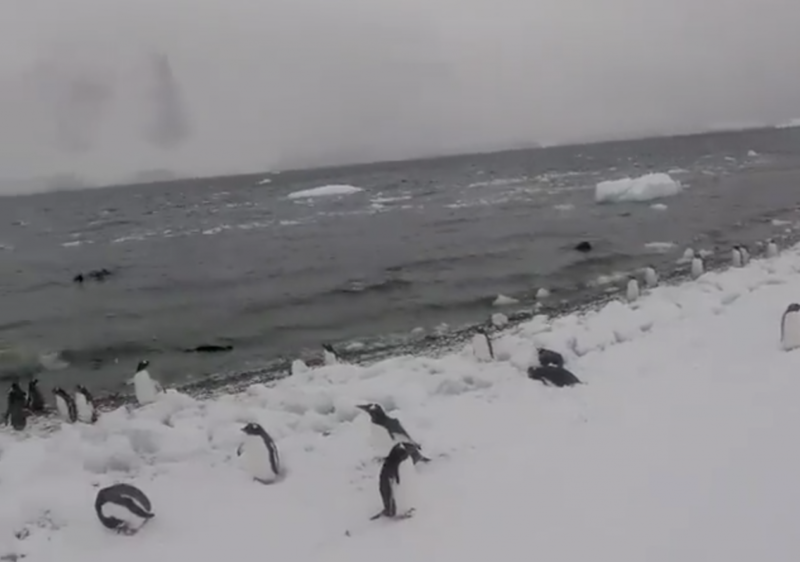 We cracked open bottles of champagne upon triumphantly crossing the Antarctic Circle. It’s just not fitting to drink margaritas at the 66thparallel south. The margarita is more of a Drake Passage drink. When you become one of the 200 or so people a year to travel south of the Antarctic Circle, that requires something classy. Champagne works, even when you’re nearing the South Pole. Onward south. We made a stop (in the 67thparallel south, I believe) at the British Antarctic base of Rothera. 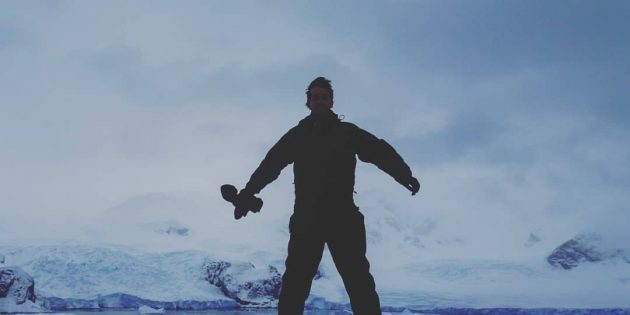 I think of Rothera as a military base, but officially the place is called the Rothera Research Station, and there are no Antarctic wars — at least for now. While there is research going on at the base, rockets have been shot off there as well… Might Britain be defending it southernmost territory against the Nazi threat?? By the way, the British actually have a large Antarctic territory, and that was the area of the continent we were exploring. Nevertheless, it is New Swabia to the east that remains on my mind. Okay, why care about New Swabia? While it is an accepted fact that the Nazis reached New Swabia shortly before the Start of World War II, what happened — or did not happen — in Antarctica at the end of the war is more of a mystery. For decades, conspiracy theorists have put forth a variety of claims centered around the theory that the Nazis set up a base in Antarctica around the time of World War II. Some conspiracy theorists claim Hitler and other defeated Nazi elites fled to Antarctica at the end of the war, reaching the continent by way of Argentina. Other theories include that the Nazis shipped flying saucers and other advanced weaponry to their Antarctic base and they launched a space program there. Even in the second decade of the 21stCentury you can find articles in major tabloids about some researchers making claims pertaining to Nazi UFOs in Antarctica. It is certainly peculiar that ships don’t go to the New Swabia side of Antarctica. But the theories about UFO sightings and the Nazi space program are not limited to the east side of the continent. They can encompass all of Antarctica. And, as we traveled farther and farther south — as far south as the 68th parallel — things got weird… really weird. One night, after sipping a couple drinks, I stepped out onto the deck of the ship when everyone else went to bed. Bundled up in my eight layers, including two jackets, one of which was just a raincoat, I relaxed a bit and checked out the Antarctic night sky. Things were calm until, out of nowhere, a light appeared in the distance. It flashed a couple times. Then I lost sight of it. Then the light in the Antarctic sky reappeared and flashed twice more before disappearing. Then, like a shooting star, the light shot across the sky and then back in the other direction. And then once more it shot across the sky, south to north, and then back again, north to south. During the last flash across the sky, a siren went off three times with three second breaks in between noises. I’m not one to get flustered very easily, as I have been in many so-called dangerous placesand situations around the world. But this is Antarctica — about as far south as humans go. Who the hell knows what’s going on here? And I do know the Nazis arrived in Antarctica. I also know that governments love to suppress information to keep people from breaking out of the matrix and to keep them paying taxes, sometimes to fund top-secret space programs. Maybe it is true. Maybe the Nazi elites did escape to Antarctica and they are now colluding among themselves or with other governments on space weaponry and alien technology in a location that is so hidden from mankind that no one would bother going to check and see if anything’s happening there. This was freaky. It wasn’t like being locked in a cage with a giant saltwater crocodile. In that situation you know what’s going on. It’s a controlled experiment. The 68thparallel is different. You don’t know WTF is going on. My body was trembling and my face was frozen. With New Swabia off to the east, our expedition continued southbound. We ventured as far south as we could go until we became physically impeded from going any farther. Our icebreaking ship almost got stuck, and it was quite a hassle, but we managed to get out of the area, pivot north and head back toward Ushuaia. Look, I’m not saying the Antarctic Nazi space weapons facilities don’t exist. I still haven’t stepped foot on the eastern side of the southernmost continent. Who knows what’s there? For that matter, maybe it is time for a new German expedition. Who is going to join me on the MV Staatenlos as it sails to Neuschwabenland, Antarctica, and once and for all, settles the dispute and puts an end to the Antarctic Nazi mystery? And whether or not there are Nazi weapons facilities and UFOs there, we will set up the world’s southernmost stateless colony. Are you in? Stay: You will stay on a ship – not exactly a luxury cruise liner, but a surprisingly comfortable remodeled ice breaker. This was the MV Ortelius – but there are more and less luxurious ships as well. 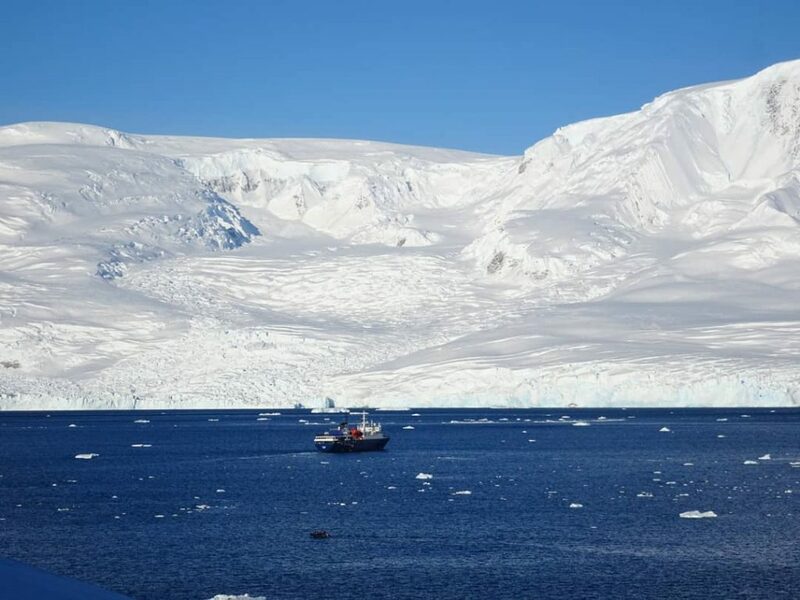 A shared 3 bed room will cost you around 8000$ for the 2 week Antarctic Circle cruise. 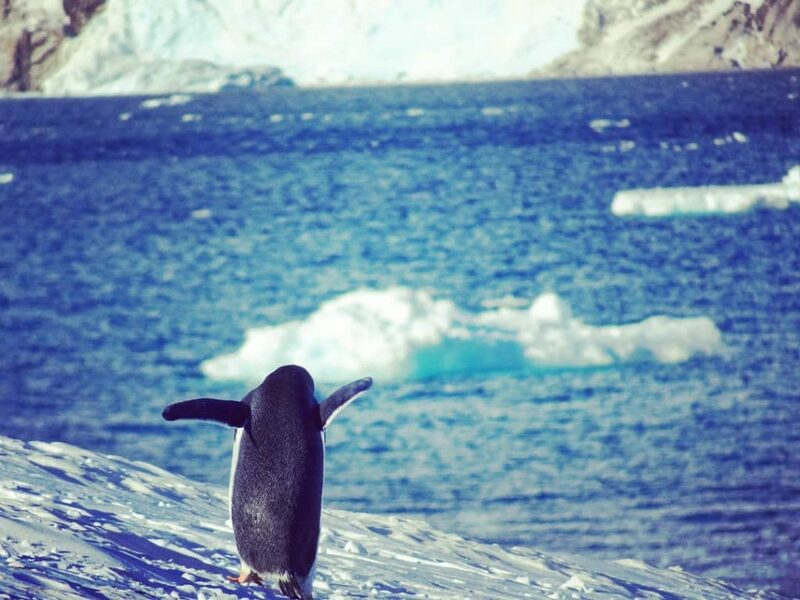 I can recommend you booking with Swoop Antarctica – they handled my booking very well. Eat: Food on this Antarctic cruise was not bad considering 120 people needed to be provided with it at the same time. There was buffet breakfast and lunch, but a 3-course-dinner each night. Food was tasty and there were enough options to keep everyone satisfied. Drink: Thumbs up for the Filipino bartender mixing good margaritas. Even more I was happy about the Ginger ale on board – I drank them all until they were out. Ginger is a great cure for sea sickness. 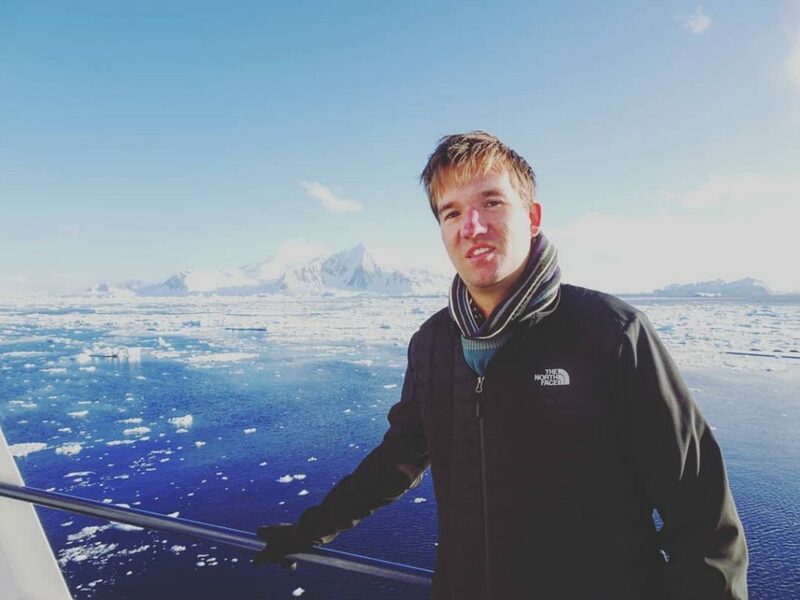 Connect: There actually is internet on board – and it even worked south of the Antarctic Circle (near Rothera). With a 100 MB credit you get when boarding the ship you cannot do much, though. If you want to pay, the next 100 MBs set you back 80€ so I rather made a digital detox as internet was hardly reliable either. See: Wildlife and icebergs. It is not a white desert – the colours are amazing, especially at sunrise and sunset. And in the night with good weather the most amazing star sky. 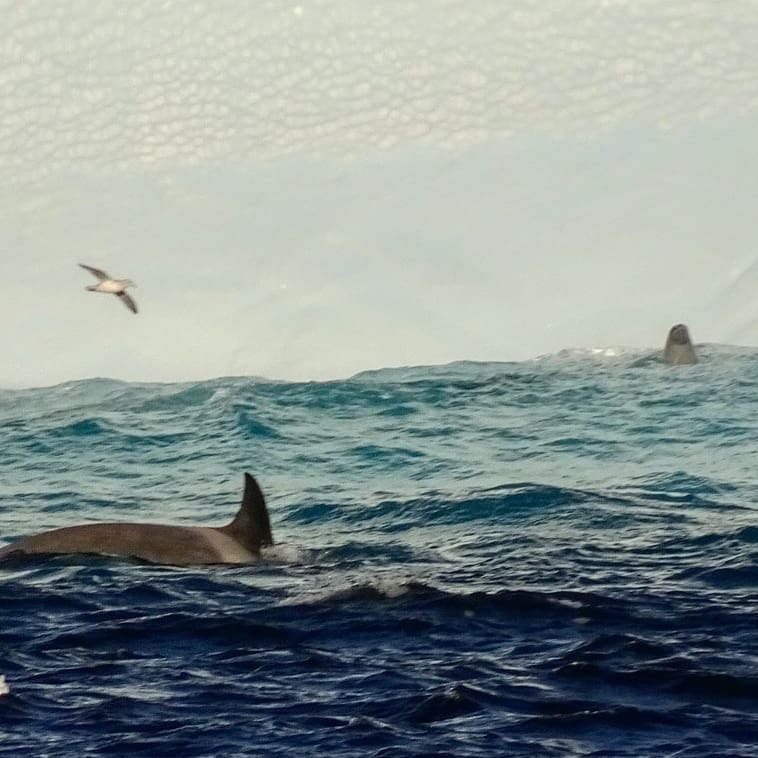 Do: Relax and read a lot on the boat – and go on the zodiac while in Antarctica. So many seals, penguins, whales and more to spot – and the remains of huts of the first Antarctica explorers. Setting your foot on the sixth continent is really awe-inspiring. Go there: In theory, you can fly to the Antarctic pensinsula a couple of times per season. Season is from Mid-November to Mid-march – my cruise was one of the last boats leaving. Flying is not exactly cheaper, it just avoids the sea sickness in the bumpy Drake Passage. For a 2-week-cruise calculate with at least 8000$. Go next: With a cruise you return to Ushuaia, Argentina – or sometimes Punta Arenas in Chile. If you have your own yacht, you may also visit the Falklands, South Georgia or other Southern Atlantic islands.